If you are searching for a sporty experience and you are competitive by nature, this boat will become your best friend. She has won every regatta she ever participated in and can navigate through the shallowest waters and narrowest passages. 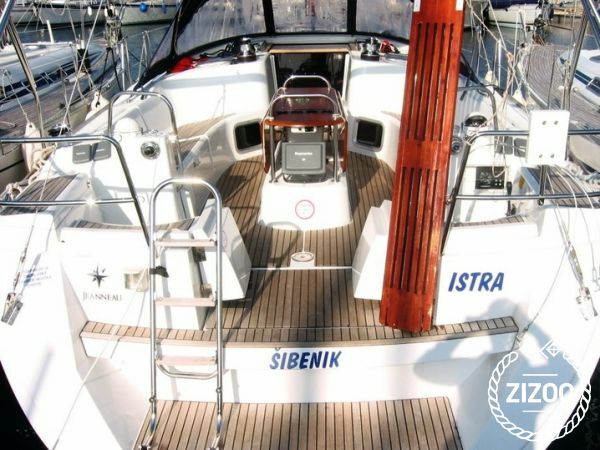 Istra is a 2009 Jeanneau Sun Odyssey 44i that will meet the expectations of even the most demanding holidayer. Let her take you on a journey to explore the best sailing area in the Adriatic, the Kornati Archipelago with its 140 islands, an ideal sailor's playground to manoeuvre around and play with sails. After a day spent in the wind, moor in a quiet place to give everyone plenty of rest, you will need it for another exciting day! You might even find a local regatta to join for fun and test your skills as a team. 8 of you will have a more than comfortable stay on this fully equipped beauty, and your charter staff will provide full support.